A POSITIVE BREATH OF FRESH AIR FROM BALBOA ISLAND!! I discovered Martin Diaz shared the same birthday (October 9) as John Lennon when I started to write this article, and like John he influenced many, was loved by all who knew him, and died way before his time. We all watched as the memorial to Martin grew in front of his restaurant, Picante Martin. There were flowers, plants, candles, stuffed animals and messages—all from his Balboa Island friends. It took several days for the family to discover what was going on here on the Island and realize that the original venue for the funeral—which only held 75—wouldn’t accommodate everyone who wanted to be there to honor Martin. Martin was only 44 when he passed away on February 14, 2008. I have a son who will be 40 this year. My mortality certainly spoke to me as I sat in the sanctuary and listened to the music and watched my friends and neighbors stream in. I felt old—and I felt grateful. Grateful to have known Martin. I think we all felt that way. The night of the funeral was beautiful after a wet and rainy week. It was clear and the moon was almost full on the 350 of us gathered to celebrate Martin’s life including his wife Raquel, his son Martin Jr., his brother Carlos and his mother and father. What kind and gracious people they were. The service was a blend of the two cultures that Martin bridged—his Spanish roots and his adopted American family. Martin would have been proud of all of us. I am sure his spirit was there to listen to us sing and pray and remember our good friend Martin. “I ALWAYS TRY TO DO MY BEST,” says Martin Diaz of Picante Martin (still known as La Madeleine). And Martin’s best is terrific—whether it be the wet burritos, tacos, enchiladas, tortilla soup or sandwiches served up by he and his wife Raquel. The most popular item is the wet burrito followed by the breakfast burrito which is almost two pounds of food—for only $2.95! His quality is wonderful and his prices are great! Martin and his wife originally came from Mexico—they arrived in the United States 18 years ago and settled in Costa Mesa. He was soon employed as a dishwasher by El Ranchito, a popular Mexican restaurant. From dishwasher to cook to General Manager, Martin spent 17 years with El Ranchito before deciding to strike out on his own. He and Raquel were looking for an opportunity in another state, so they went to Seattle, Washington, but couldn’t handle the rain. Then he saw a small ad in the newspaper for a restaurant on Balboa Island and the rest is history. At first he didn’t know what to expect—he had heard that we didn’t like strangers here on the Island, but actually he has found it to be the opposite. Everyone has been more than helpful and supportive. When he tried to stick with the original menu from La Madeleine his friends told him—do what you know best—Mexican. That was when his business really took off, although the sandwiches still sell very well. Martin has the support of the locals who come for breakfast and lunch daily. When he was looking for a new name for the restaurant they said it would have to have Martin in the title so they could say, “Let’s go down to Martin’s”. It was our local artist Pepe Serna’s wife Diane who convinced him it wasn’t egotistical to have his name as part of the restaurant’s name—so Picante Martin was born—Martin’s Hot Stuff. But actually Martin’s is a family affair. As mentioned before, his wife Raquel cooks everything fresh daily and as Martin says Raquel “Is my greatest asset”. She even goes home at the end of the day and cooks a different dinner for the family. Martin’s son 13-year-old Martin Jr. likes to come down on the weekends and do deliveries and take in the sights on Balboa Island. Besides great Mexican food and sandwiches Martin also has Espresso coffee, breakfast, salads and fountain and bottled drinks. So try it out and see what you are missing. Picante Martin is at 320 Marine Avenue—949.675.4627. See you at Martin’s!! February was for sweethearts, and Margaret and Simon Nord still are after 63 years of marriage, 4 children and 5 grandchildren. They met by chance during World War I when Simon was a student at the University of Maryland College of Dental Surgery where he spotted Margaret at a distance. He thought that she was beautiful and still does! Few would argue. Margaret is lovely to this day! Margaret grew up on a farm in Pennsylvania in a family of teachers. Simon is a native Californian in a family of doctors. He interned to be an oral surgeon at Letterman General Hospital in San Francisco through Army Sponsorship and persuaded Margaret to join him in California. They married and began a life together which was far from “run of the mill” to say the least. Besides being a surgeon, Simon became a Real Estate Broker and acquired property including, but not limited to, their homes in Pasadena, Dover Shores, and, in 1958, a Balboa Island beach house on North Bayfront that they still enjoy. They also have a private Honduras Island they love spending time on, especially at Easter when they join other Island owners and distribute candy to native children. Simon eventually made a career of selling islands!!! While visiting their home on North Bayfront there was a loud diatribe in the next room. It turned out to be “Stella” , their 50-year-old parrot! The latest report—Stella brightened up after she fell in love with a mechanical talking parrot they put near her cage!! I guess the Nord home really is for sweethearts!! Would you like to be saluted as a Balboa Island ICON—please call Doris Lee @949.280.0607 or e-mail dorislee@coldwell banker.com. Bright, Airy, Quiet Studio Apartment w/Sleeping Loft. One Bathroom on Living Level. Queen Sized Bed. DirecTv in Living and Sleeping Areas. Kitchenette. Wireless Internet Access. Parking. Sleeps Two. $175.00/day—$850.00/week—2 Day Minimum. ( 3 Days during Holidays and Boat Parade) 949.422.8570. The Friends of Dorothy Guild is planning its next great fundraising event on May 7th 6:00 to 9:00 PM at Bloomingdales in South Coast Plaza. The Haute Men’s Spring Fashion Show will take place in the menswear department – which will be even ‘hauter’ than ever with delectable food, classic Friends of Dorothy fun and a peek – and some peek-a-boo - at the new spring casual looks for men. Bloomingdales will be launching a three-day sale that night and we’ll receive 10% of sales made that evening. In addition, we’ll also be celebrating Milton Berle’s 100th Birthday. Lorna Berle is our Honorary Chairman for the event, so expect some extra surprises as we pay tribute to this legendary comedian. The Friends of Dorothy Guilds was founded in July, 2007, and in just three fundraising events, it has raised $91,000. And they have been successful thanks to friends like you who have been so very generous. The Friends of Dorothy Guild is a support group founded in 2007 by Chairman Barbara Venezia and is dedicated to raising money to fund the much needed programs of AIDS Services Foundation Orange County. ASF was founded in 1985 and continues to help those suffering with HIV/AIDS. This year alone state and federal funding for ASF has been cut by $300,000. One in every 5 new HIV/AIDS cases in Orange County is a man, and women 50 years old and over. The our guild raises goes to vital services including: food, transportation, housing, emergency financial assistance, kids and family programs, mental health counseling, support groups and HIV education and prevention services in Orange County. Tickets for The Haute Men’s Spring Fashion Show at Bloomingdale’s South Coast Plaza will be $50 for members of The Friends of Dorothy Guild and $75.00 for non-guild members. Each of our previous events was sold out, and we’ve had to turn folks away. Tickets go on sale April 1st, but you can make a pre-reservation by emailing Barbara at . Go to http://www.hotrange.com for more information on how to become a Friends of Dorothy Guild Member! 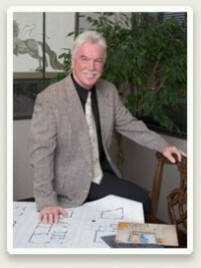 One of my favorite Realtors has opened his own office on Marine Avenue—Robert Taylor of Newport Beach Realty Group. Don’t be fooled by the license plate on his golf cart—he does know how to spell group—you just can’t have more than one plate with the same spelling and he has the one with NB GROUP on his car !!! 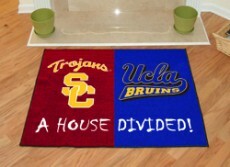 Island Style has new College Rugs—House Divided—USC/UCLA or UCLA/USC depending on how you see it, to go with our House Divided Flags. Don’t forget we also have Balboa Island, Little Balboa Island, Crystal Cove, Newport Beach, Newport Coast, Balboa, Newport Coast License Plates. Island Style is located at 118 Agate Avenue, 949.675.6511.
t-shirts and a new line of handbags and shoes at fabulous prices. Check out our $20.00 closeouts—where else can you get a great dress or skirt for less than the price of a pedicure? Let’s Go Shopping is located at 114 Agate Avenue, 949.723.1169 . “My dad passed away on February 19, 2008 at the age of 90 years old. He has resided at Sierra View nursing home in Baldwin Park, CA for the past several years suffering from Alzheimer’s disease. He was born on December 24, 1917 in Los Angeles, CA and later moved to the family home on Balboa island. He was a UCLA graduate and served in the US Army (Infantry Division) during WWII and The Korean War. He is survived by a daughter, son-in-law, 3 grandchildren, 11 great-grandchildren, and 5 great-great grandchildren. The monthly Newport Harbor Republican Women’s Luncheon will be held Thursday, March 27 at Five Crowns Restaurant, Corona del Mar. Speaker To Be Announced. Social hour starts at 11:30—lunch at 11:45. Cost $25.00. Reservations and questions call Sue Bennitt 949.644.0539 by Monday March 24. Our speaker in March will be Lores Rizkalla, host of Lores Rizkalla Live on KRLA 870 AM radio in Los Angles. Lores grew up in Los Angeles, where she was born to parents who had left Egypt to escape jihadist attacks. She writes and speaks on political, social and gender issues. The Adventures Comes to Life on Stage in A Family Show For All Ages! WHY SHOULD YOU BUY FROM ISLAND FLOORING ?? Communication—Island Flooring will educate you. Our job is not just to sell you a floor, but to make sure you have the floor that is right for you. That means we have to find out what your needs are—do you have children or pets—is it a floor in your main house or for your rental—what level of warmth/cool are you interested in? Some floors do not do well in a Marine environment. Flooring is not an inexpensive purchase and we want to make sure you are happy and come back to us again. We live here—above our business—we want you as a friend as well as a customer. Convenience—Island Flooring is right here in your neighborhood. You can take a walk and come to our store. No need to use any expensive gasoline or fight traffic leaving our beautiful Balboa Island. Creativity—We have 40 years of experience in the flooring business—Hardwood, Ceramic, Wood, Stone, Carpet, Cork, Bamboo, Vinyl—anything you can walk on except grass, concrete and asphalt. And we are always looking for new, creative ideas. They come from the small guys—not the big companies and those are the people we watch out for. Commitment—We are the best flooring professionals that we can be. We are always finding new products and learning new things to make your installation the best ever. Caring—We will donate 10% of your total invoice to your Favorite Charity—it is a win for you and a win for someone who needs help. And in today’s environment there are plenty of people who need help. ASK ABOUT OUR NEW WINDOW COVERINGS PERSON—LORI IS THE BEST!! !